POLYPIPE Manufacturer's Part Number: MAX2715. POLYPIPE PolyMax Hand Tighten Straight Tap Connector, 15mm x 1/2" BSP, PolyMax Push-Fit Socket x Female Thread; NOT suitable for central heating. 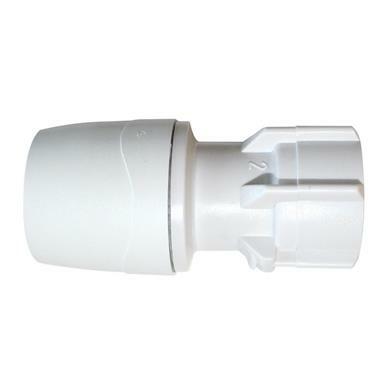 - Suitable for use in hot and cold water systems in domestic properties. - Not suitable for central heating.